Jurgen Klopp wants his team to press and harry relentlessly throughout matches, and it’s fair to say that’s exactly what they did during Liverpool’s 4-3 victory over Arsenal. 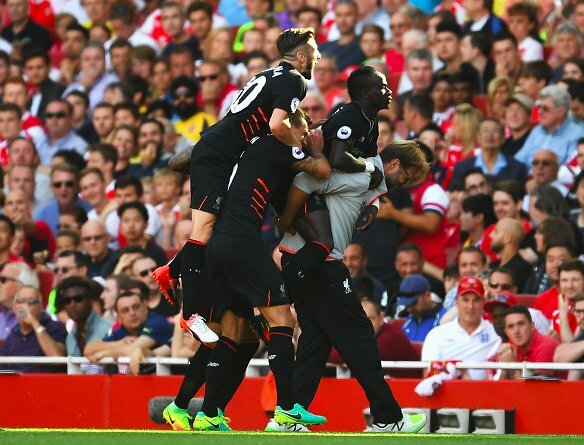 At the Emirates, Liverpool covered more ground than any other side in Premier League history – according to football data specialist Dan Kennett. A period during the second-half was especially brilliant. We scored three goals, adding to the free-kick we scored at the end of the first – in about 20 minutes; totally stifling our opponents with energy and movement. Going forward, we looked cutting, dangerous and like we could score at any minute. Unfortunately, our defensive mistakes cost us three goals – as they often did last term too – and that’s something we need to sort out, sharpish. James Milner should come into the backline at left-back at some point, while Loris Karius could eventually start between the sticks – although in fairness – Simon Mignolet did well on Sunday.